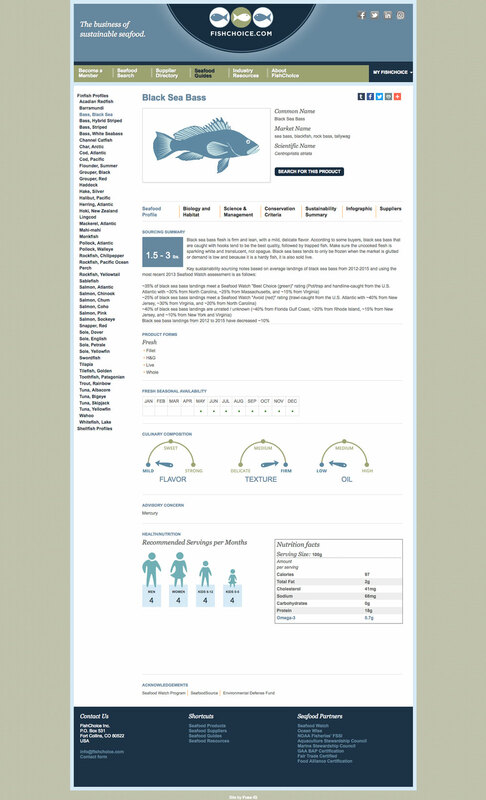 Working with FuseIQ, I helped to redesign FishChoice.com to include a robust seafood search tool and buying guides for over 2000 species of fish. The home page design provides clear paths for both buyers and suppliers. FishChoice maintains an extensive database of seafood species, their suppliers, and their sustainability ratings. 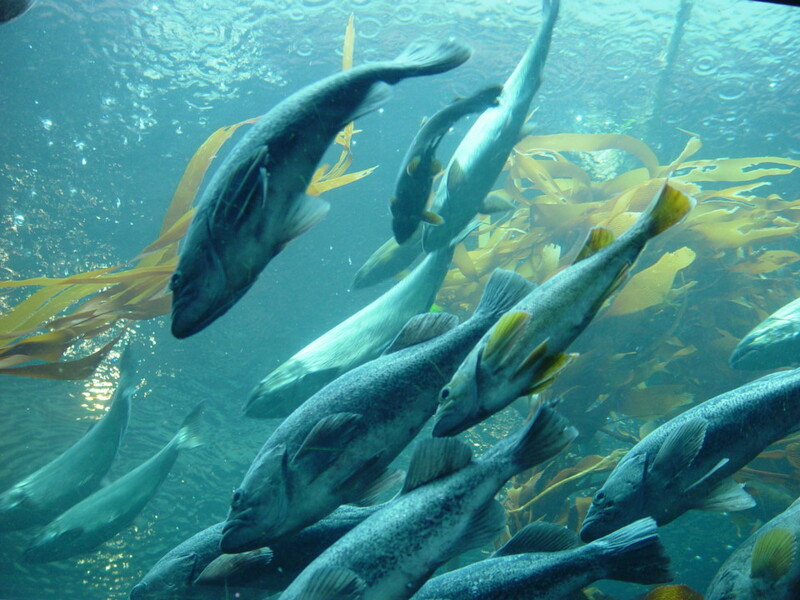 Users include seafood buyers, seafood suppliers, and the general public interested in sustainable seafood. Our goal was to provide a simple way for several audiences to access this information which could appear very complex at times. Due to there being several different rating and certification standards, we needed to develop a common visual language that would position this sustainable seafood website as one of the most authoritative in the industry. 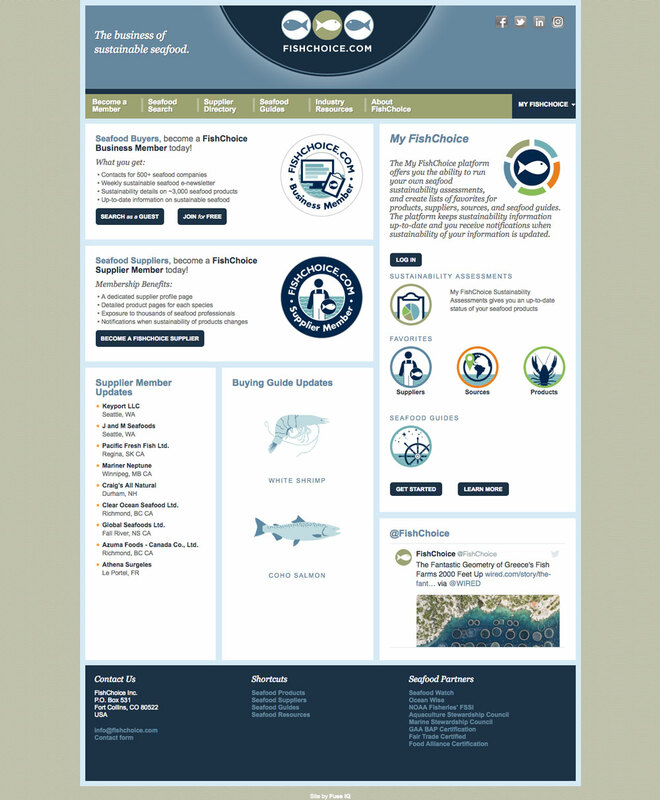 The Seafood Search page was our most complex design challenge. The tool went through several iterations of step-by-step filtering, basic vs. advanced search, and settled on a more distilled single version after four years of refinement. I designed a color-coded set of symbols to signify the sustainability scores from three organizations that each have their own ratings system. The seafood guides allowed us a chance to be more illustrative with the information. They are aimed at seafood buyers and the general public interested in the various culinary qualities of certain seafoods.